A 50% deposit is required for ordering this product. 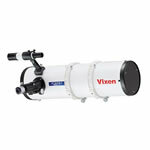 The PI200 and PI250 instruments are first in our series of larger aperture telescopes. 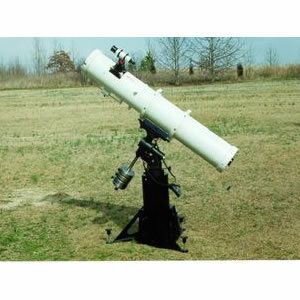 Relatively light in weight and easy to handle, first class construction techniques, components of the highest quality, and the very best optics available combine to produce telescopes fully capable of remarkable performance. Constructed entirely of aluminum with stainless steel hardware, every attention to detail has been given to these fine instruments. 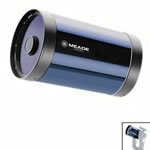 Push-pull type primary and secondary mirror cells afford easy yet positive locking collimation adjustments. The optical tube is fitted with lathe turned, knife edge annular baffles. 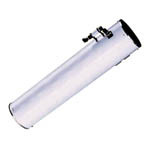 The result is a tube so dark, the primary mirror appears to be floating in space. 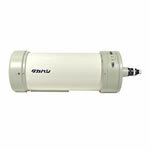 All optical tubes are finished in high gloss acrylic urethane paint and are furnished with metal snap-lock dust cover and 2" and 1 1/4" focuser adapters. Diagonals or eyepieces are not included. 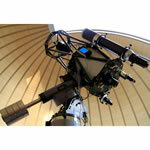 Interferometric test report and fringe analysis data is included with each telescope. To our knowledge, no other manufacturer of Newtonians incorporates this painstaking technique to extract the ultimate in image contrast. The light weight, high precision optics assure quick temperature equalization and will provide incredible detail on planetary subjects. 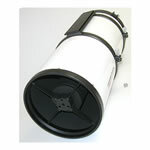 The striking high gloss finish of the tubes combine with the "feel" of these telescopes will surely provide their owners with many years of satisfaction. 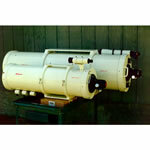 The optional Series 125 equatorial mount is designed to carry both models. 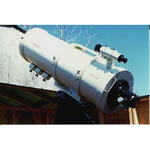 These telescopes are not "run of the mill" mass produced instruments. 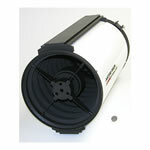 our telescopes carry higher prices due to the expense of utilizing only the very finest components. There is just no other way that Parallax Instruments will build them. 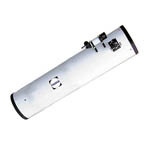 Resolving Power:	.57 arc sec.